My first big project. 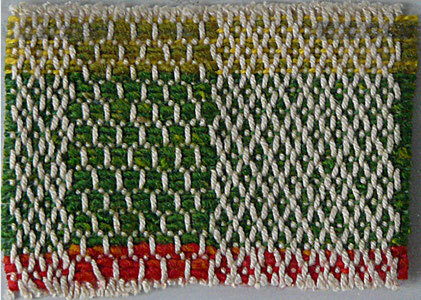 Based on a small handwoven piece of fabric that we were presented in November 2011 as an admission ticket for the National Weaving Day of the Dutch Weaving Association "Weefnetwerk". "Interaction" was the theme of the National Weaving Day and the associated exhibition and contest in november 2012. 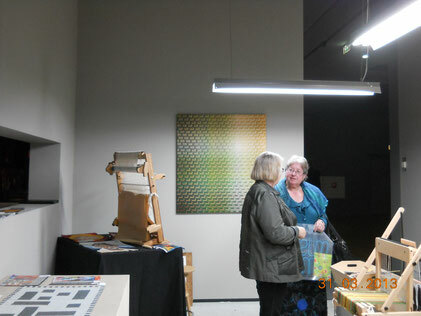 Organised by the Dutch Weaving Association "Weefnetwerk". Little pieces (6 x 3 cm) of woven fabric were distributed a year earlier with the message: "let yourself be inspired by this example and join the exhibition and contest next year". For a few weeks I photographed everything that I could associate with the colour and texture of the little piece of fabric. 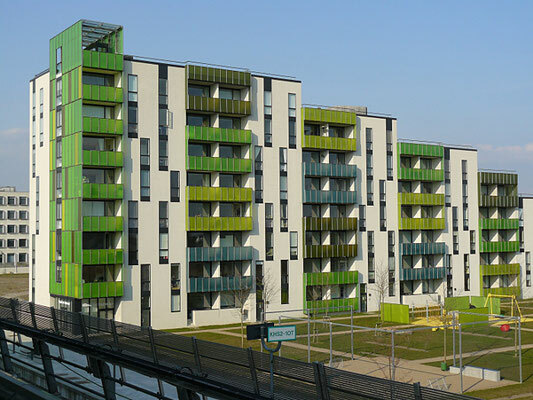 From spring blossom to windmills and tulip fields, and in particular architectural structures in the urban environment. The interplay between horizontal and vertical lines fascinates me. But how to translate that into a weaving pattern? 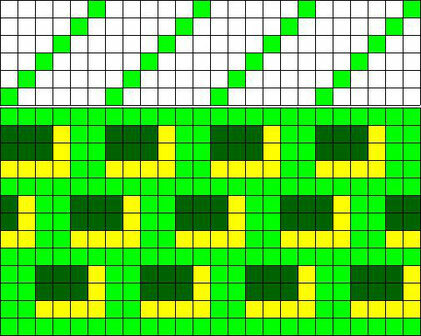 At the same time I analysed the pattern and colour usage in the patch by measuring both, drawing and calculating the relative ratio's. 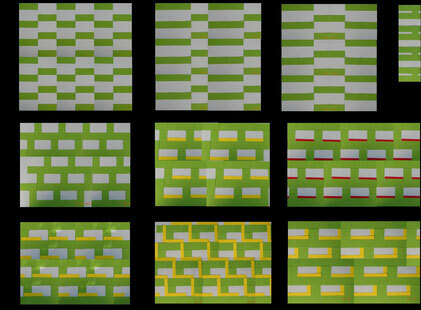 With the ratio between the length and width dimensions of the weft colours, I cut strips of coloured cardboard (as did British artist Bridget Riley). 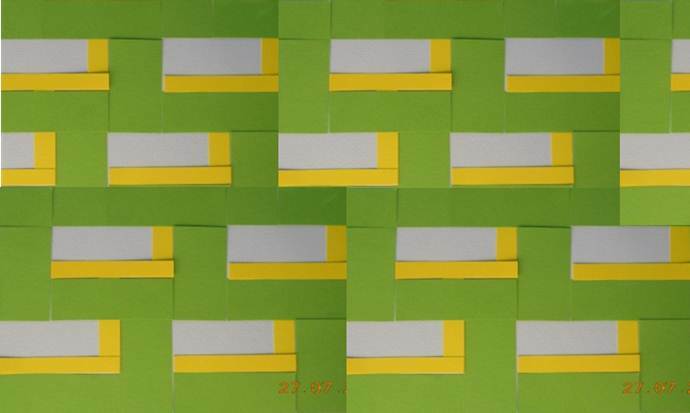 By arranging these cardboard strips in different ways, I created block-shaped designs. 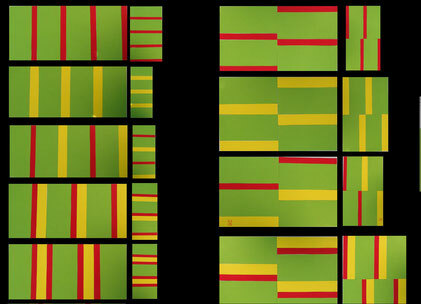 It started with very simple designs in green with red and / or yellow. I photographed these designs and collected them in the Excel program with a 90 degree turned copy next to it. Of course, Microsoft Excel is actually a calculator but I use it to import, sort, copy, turn and mirror photos. You can add text next to the photos and save them in one or more worksheets in one file. That's how all your designs stay neatly together. 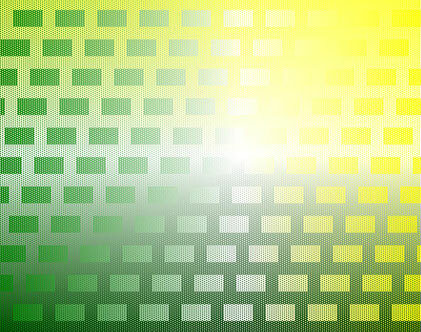 But, the green / red / yellow designs didn't really appeal to me. I found them boring and flat. I needed to add more structure and depth. So I started experimenting with adding white strips and creating rectangular shapes in repetition remiscint the balcony structures of the buildings I photographed in Metz and Stockholm. 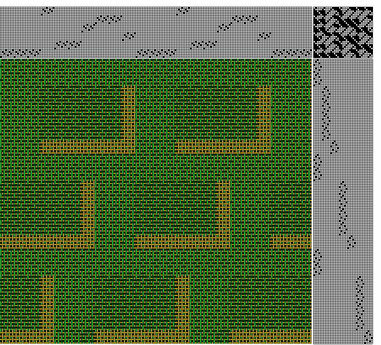 I chose this one for further development. 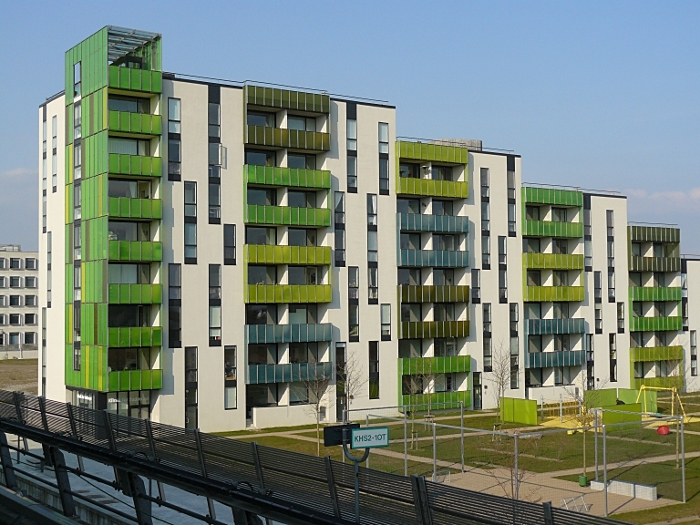 It looks a bit like a building with green walls, white windows and yellow window frames. I like to combine different type of yarns in one piece of work. 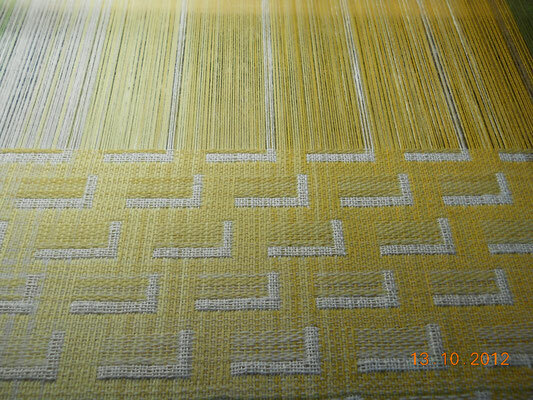 For the "walls" and "windows" I chose for wool with a colour transition of dark green via white to yellow. I tried to make the transition as smooth as possible. To enforce the visibility of the "window frames" I chose linen with a colour transition of red via yellow to white. Because I only had a litte bit of red yarn, there is only some pure red in the bottom left corner of the work. 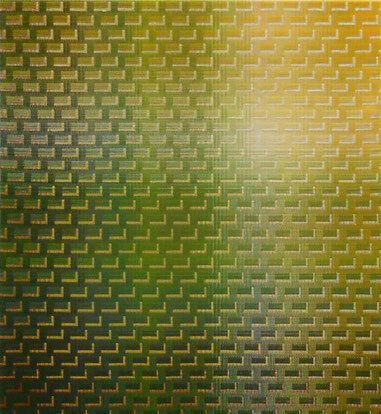 Precondition was that both materials would not mix; so I had to choose for double weave. 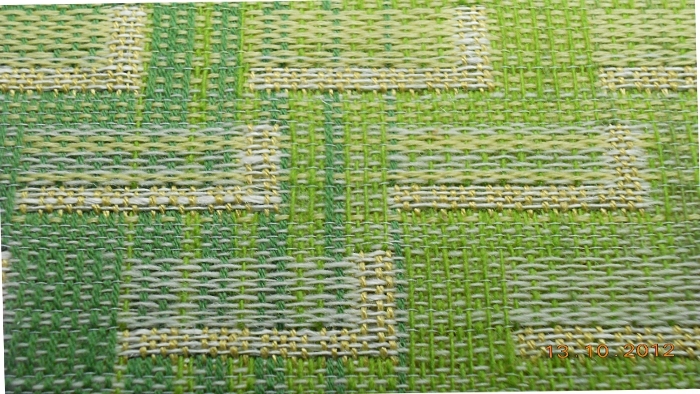 I wove the walls and windows in a variation on Summer & Winter weave and the contrasting window frames in plain weave. This picture shows the blocks. Part of the draft in Summer & Winter and plain weave on 30 shafts with 35 treadles. 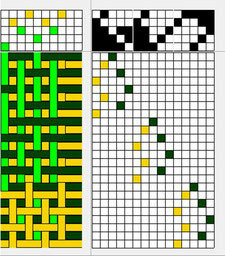 Drawn in the weaving program WinWeef. Over the diagonal from the bottom left to the top right you can see the pure, unmixed, colours in both the Summer & Winter and in the plain weave. In the opposite diagonal from the top left to the bottom right there is an exchange of colour between the walls and the windows: on the top left the warp is green with a yellow weft, while on the bottom right the warp is yellow with a green weft. 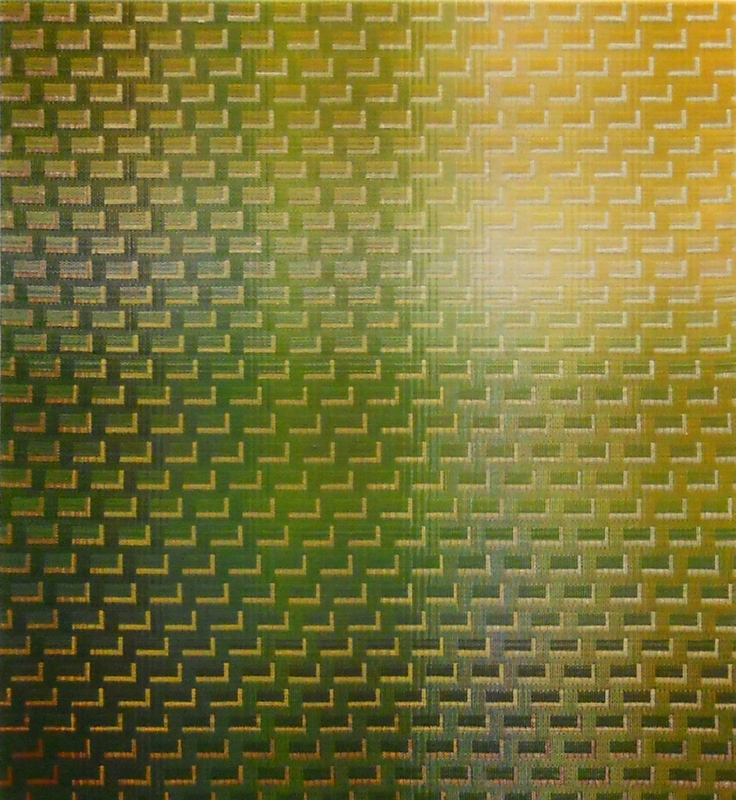 Because in this Summer & Winter the weft is dominant, you can see this colour exchange as yellow windows in a green wall at the top left to green windows in a yellow wall at the bottom right. In my eyes: amazing! 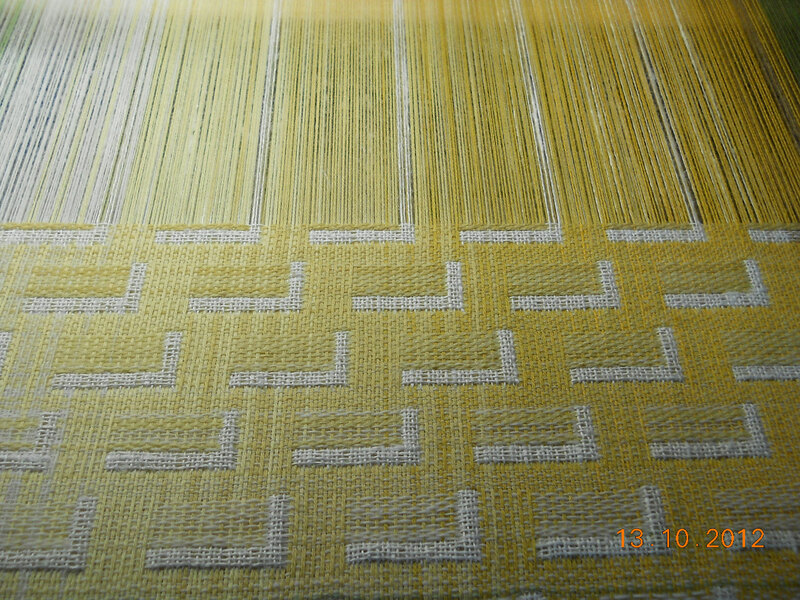 At the spot where both the warp and the weft are white, it appears that there is a light behind the fabric. That was exactly the intention, see the colour design a few pictures up, but you never know beforehand if it actually succeeds. The size of the work is 115 x 110 cm. In November 2012, I participated in the "Interaction" contest and won two first prizes; one from the jury and one from the public. So great that everybody loved it!! That's why I was invited to write an article about the design process for the Februari 2013 issue of WEVEN. 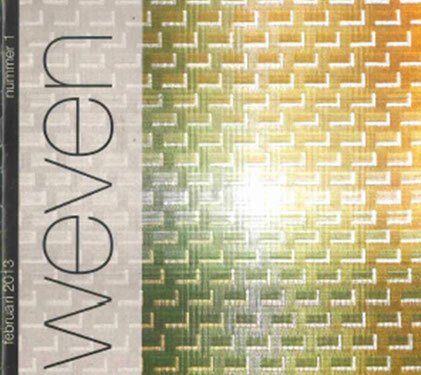 WEVEN is the quarterly magazine of the Dutch Weaving Association "Weefnetwerk". In 2013 I tried my luck at the "Zomerexpo", an anual open art exhibition similar to the well known Royal Academy Summer exhibition in London. 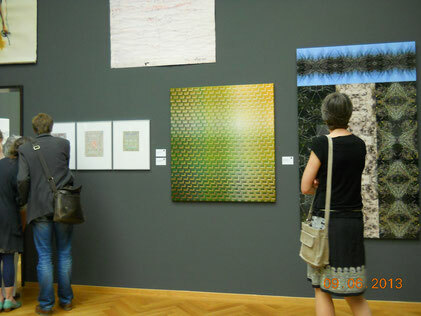 I was selected and my work was part of the group exhibition in the Gemeentemuseum Den Haag. In the same year I was selected to represent the Dutch Weaving Association "Weefnetwerk" at the exhibition Hand Made, an exhibition of over five hundred art craft objects at the Museum Boijmans van Beuningen in Rotterdam.